Chief fertility specialist & Endoscopic surgeon. Dr, Neelam Bhise’s breakthrough work involves treatment for repeated IVF failures, due to thin endometrium. She has presented papers on Platelet rich Plasma (PRP) therapies with 90% success rate in cases with previous failed IVF cycles. She has to her credit, The First Elderly Women from Mauritius, who conceived at the age of 60, with PRP therapy, and delivered a healthy baby. She is the recipient of many National and International Awards. She has treated many international patients from all over the world, esp. UK, Africa, Singapore, USA for their fertility issues and have got successful pregnancies. MBBS (October 2004) Shri Vasantrao Naik Government Medical College, Yavatmal. MUHS Nashik University. MS (OGY&GYN) (June 2010) –T.N.M.C. & BYL NAIR hospital Mumbai. Dr Neelam Bhise has delivered many invited lectures at national conferences. 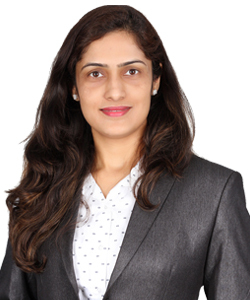 She has also been an invited speaker on “Gonadotropins in IVF” ‘at YUVA ISAR 2016. She is also an invited speaker on “EMBRYO TRASFER TECHNIQUES” at FEMM 2017. Prize winner in Gynecological Oncology Quizes at MOGS and FOGSI Conferences in Mumbai, 2009. Case report “In utero distrotion of T shaped intrauterine device” in (Bombay Hospital Journal). She is an active member of INTERNATIONAL FEDERATION OF FERTILITY SOCIETES (IFFS) and FERTILITY EDUCATION & MEDICAL MANAGEMENT (FEMM) since 2015.